Are Weddings Really Just One Big Show of Class Aspirations? I recently had this total brainwave about my bachelorette party. I’d read all the wedding literature, heard all the complaints by friends of demanding brides, and I wanted to be helpful. I was bewildered. Admittedly nine hours of Hugo Weaving talking really slowly might not be everyone’s cuppa, but I became friends with S at age seventeen when she remarked on the One Ring replica I was wearing around my neck (yeah, I was totally that kind of loser). So what was the problem? Oh. Right. There it is again. These are all words that are associated with having lots of money, or being of a high social class (a position usually occupied and defined by people with lots of money). I’m still trying to parse the links between class and weddings—they’re complicated, not least because weddings are the ideal vehicle for the expression of class aspirations. 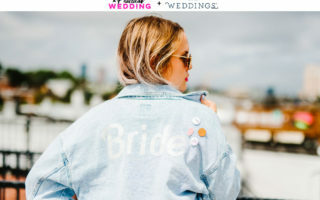 Especially in this age of hyper-personalized, customizable weddings, the event isn’t so much an expression of who the couple and their community are—it’s an expression of who they want to be. And class aspirations will often differ within that community, whether because of generational differences or differences in life circumstances. I ran headfirst into this when I was discussing the Malaysian wedding venue with my parents. I wanted a house in a jungle. I had lurid visions of waking up on the day of my wedding and batting away mosquitoes to admire the green velvet of the old-growth forest rolling out before my window. It would be beautiful—simple—different. But I saw his point. My parents want to show our extended family a good time. Which means air-conditioning, recessed lighting, tablecloths, a multiple-course meal. You know, fanciness. My parents are fairly unshowy people in ordinary life—my mom never met a mostly finished jar of peanut butter she couldn’t wring some more peanut butter from—but God forbid we look cheap on an occasion like my wedding. And it wasn’t just my parents or extended family whose idea of “nice” equaled “grand.” I found myself caught up in arguments with my closest friends, of my age and socioeconomic background, about the benefits of wood paneling in an equatorial climate. It felt as if everybody wanted to be an elf, when I just wanted to be a hobbit. But you know, who’s to say my vision of the day didn’t come from a desire to assert my class status? The house in the jungle might not have been much cheaper than a fancy hotel ballroom. There’s something about wanting to appear not to have spent much money, no matter the cost. It’s like those shabby chic rustic vintage weddings you see in WIC-y wedding literature which are actually terrifically expensive, or like designer jeans sold pre-ripped. Isn’t it an indication that I’m really aspiring to be of a class which is so privileged it considers conspicuous displays of wealth vulgar? What’s “vulgar” if not a word loaded with class-based disapproval? Of course, it’s possible to go in circles for ages if you start thinking like this. I found it helped to focus on the, well, practical side of things. What we actually needed from a wedding venue, in light of the event we were hosting: a place where hot food could be prepared and served, which would be accessible for our guests, where people would feel comfortable. In other words it helped me to refocus my aims in planning around the kind of experience I wanted my guests to have, rather than on what I wanted it to say about me. If I’m going to be all people-focused about this, that means I’ll give up my movie marathon if my friends aren’t keen on it. They want to plan something different, so I’ll let them. Unless their plan is to lock me up in a closet while they all go off to eat scones at the Ritz, I’m pretty sure I’ll enjoy it. If they change their minds, though, I’ll be waiting with a bag of Doritos. My extended edition DVDs aren’t going anywhere. Zen Cho is the author of Crawford Award-winning short story collection Spirits Abroad and editor of anthology Cyberpunk: Malaysia. Her debut novel Sorcerer to the Crown (Ace/Macmillan), about magic, intrigue, and politics in Regency London, won a British Fantasy Award and was a Locus Awards finalist. She lives in London.